AN UNFORTUNATE investor who took out a six-figure loan to purchase cryptocurrencies that have since lost 85 per cent of their value says he hopes his story can be a "lesson" to others. 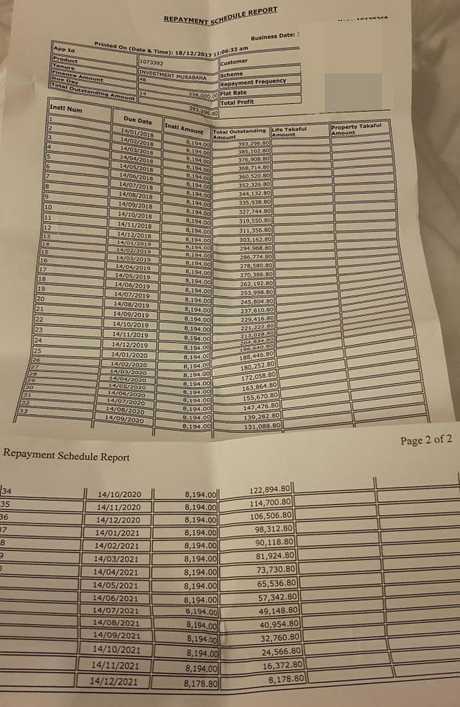 Reddit user Cryptohomie, who identified himself as a 32-year-old living in Abu Dhabi, posted a photo of his brutal repayment schedule to the Cryptocurrency subreddit on Monday. The document from Emirates Islamic Bank shows monthly repayments of 8194 dirham ($3067) until December 14, 2021. 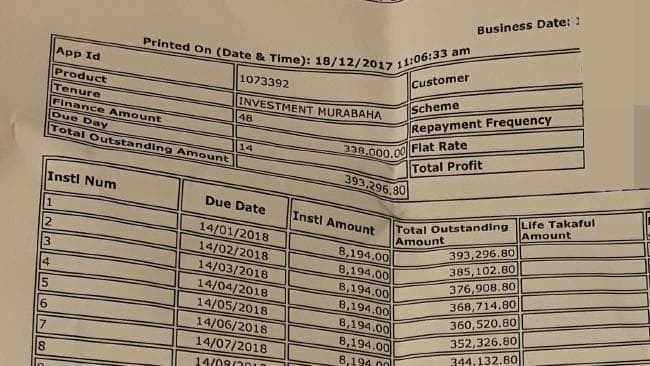 The original loan is listed as 338,000 dirham ($126,500) with a total outstanding amount of 393,296.80 dirham ($147,200) including interest. "Here is my bank instalment related to the loan I took to invest in crypto," the user wrote. "Still three-and-a-half years to go until I'm freed. Until then, I'm working for nothing and I'm at 85 per cent loss. I hope it gives you a lesson." He said he bought Neo, Stellar, Litecoin, Ethereum "and some shitcoins that lost 95 per cent of their value already". For context, Neo has lost about 90 per cent of its value since peaking in January, Stellar is down about 75 per cent, Litecoin is down about 85 per cent and Ethereum is down about 80 per cent. The price of bitcoin has fallen by around 70 per cent since topping $US20,000 late last year to around $US6000 at the time of writing. In the same period, the total market capitalisation of more than 1800 cryptocurrencies tracked by Coinmarketcap has fallen from $US800 billion to under $US200 billion. The Reddit user said he was "now mostly into" Neo, Ontology, Elastos, Stellar and HPB. The user explained that it was a "simple loan" banks give "almost instantly in UAE". "You can get $100,000 within few days on your account without much verification," he said. "I'm 32 and it was my first speculative investment. I think it's an age where we're still unconscious and take lot of risk if we don't have big responsibilities like a kid or bills to pay." Just in case, he added that "if there is any ridiculously rich Emirati who doesn't know what to do with his money, feel free to contact me". Reddit users were part amused and part sympathetic. "I don't think there's anything we can say that you don't go to sleep thinking about already," one wrote. Another said, "So this is why we hit $US20,000." One noted that "people complained" when the banks stopped allowing crypto purchases on credit cards but it was "because of things like this". "Since this last run I've wondered how many people did this sort of thing and how much banks have loaned out for crypto," another said. "I imagine there have and will be quite a bit of credit/loan defaulting." Last December, at the height of the crypto mania, a US securities regulator warned people were taking out loans to buy digital currencies. "We've seen mortgages being taken out to buy bitcoin," Joseph Borg from the Alabama Securities Commission told CNBC. "People borrow money. People do credit cards, equity lines." 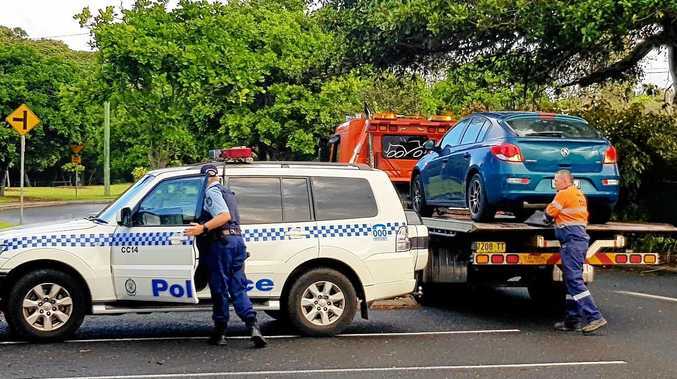 Mr Borg said the problem was "innovation and technology always outruns regulation". "This looks like tulips from Holland back in 1643," he said. "That doesn't mean there's no real value here, it just means perhaps the value is over-inflated. This is not something a guy who's making $100,000 a year, who's got a mortgage and two kids in college ought to be invested in." Regulators around the world have repeatedly sounded warnings about investing in so-called initial coin offerings (ICOs), often used by businesses to raise funds. In February, an analysis of ICOs from 2017 found of 531 out of 902 projects had either failed or "semi-failed" - a rate of 59 per cent. That figure is likely to increase as more ICOs are launched at the same time as retail investors grow more wary. The vast majority of ICOs typically range from convoluted blockchain solutions in search of a use-case, to outright scams - often both. Worthless digital tokens are derisively referred to as "shitcoins". In March, an even more scathing report by Satis Group concluded that a whopping 81 per cent of ICOs were outright frauds, 6 per cent failed, 5 per cent went dead and just 8 per cent made it to trading. Many of those that do end up listed on an exchange are subject to heavy manipulation. Due to their thin trading volumes, smaller digital tokens are frequently used in "pump-and-dump" schemes, in which a small group of individuals buy and then artificially boost the price through misleading statements before cashing out. Many ICOs rely on celebrity endorsements to generate hype. In April, the founders of Centra - an ICO promoted by boxer Floyd Mayweather and music producer DJ Khaled - were charged with fraud by the US Securities and Exchange Commission. The Australian Securities and Investments Commission has been cracking down on ICOs under delegated power from the consumer watchdog. In May, ASIC said it was "issuing inquiries to ICO issuers and their advisers where we identify conduct or statements that may be misleading or deceptive". In at least one case the securities regulator has taken action "to protect investors where we identified fundamental concerns with the structure of an ICO". "If you are acting with someone else's money, or selling something to someone, you have obligations," ASIC Commissioner John Price said. "Regardless of the structure of the ICO, there is one law that will always apply - you cannot make misleading or deceptive statements about the product. This is going to be a key focus for us as this sector develops."